Life has been so crazy lately and I haven't been reading much at all...but I'm going to push myself this week to actually finish a book. ;) I'm disappointed that I completely forgot about my 8-year blogoversary this past Monday and didn't celebrate it. Can't believe it has been 8 YEARS of book blogging. Hosted by Because Reading. 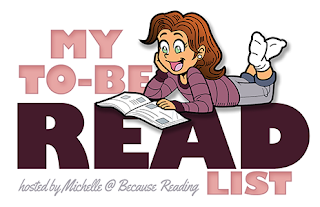 On the first Saturday of the month you pick three books from your TBR list and ask for help from your followers and the people on the linky to help you choose which book to read that month. Then, on the second Saturday, you announce the results and get to reading. :) The goal is to review said book on the last Saturday of the month. Weekend Wrap-up is where I share what I read this past week, am currently reading, and my reading plans for the coming week. From the evening news and our favorite television shows to friends' Facebook statuses and office gossip, hardly a day goes by that we don't come into contact with negative language. The issue is not whether you can avoid hurtful words but how you will respond to them. Our words can profoundly hurt--or heal. Silence in the face of negativity is not enough. Whether you are a parent, leader, teacher, spouse or friend, it's time for building one another up--and stopping words that hurt. That's what I'm reading. What are your current reads? Please share below! Congrats on 8 years. That is a milestone in itself. I just finished Amish Christmas Memories by Vannetta Chapman.